Rincewind is back! 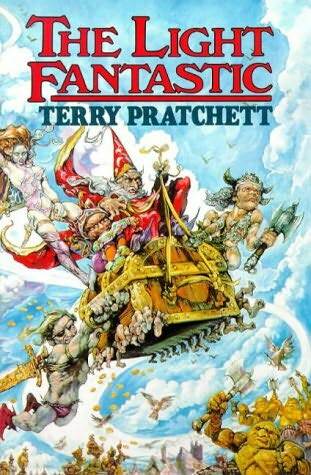 This book is a direct sequel to The Color of Magic, perhaps the only direct sequel in the entire Discworld lexicon. This time Rincewind, Twoflower and the Luggage race across the Disc trying to stop it from crashing into a giant red star. Actually, Rincewind, as per usual, just tries to stay alive, while everyone around him goes crazy about the star. In the process we meet interesting characters and experience satirical adventure. Hilarity ensues.